We haven’t written a new story about Cbad Cars in quite a while. It’s really about time for an update. Cbad Cars’ last Saturday of the month car meets have been growing more fun than ever. 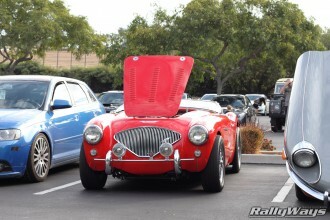 Cbad Cars, also loosely known as Cars and Coffee Carlsbad is RallyWays’ favorite car show. It’s held every Saturday from 7am to 9am at the Carlsbad Premium Outlets in Carlsbad, California. 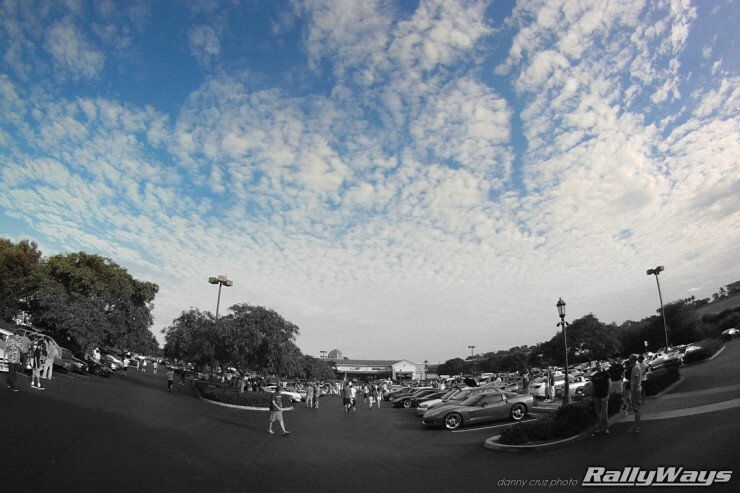 Although the meet is held every week, local knowledge has made it so that the Cbad Cars last Saturday of the month car show, every month, is always the most popular. The last Saturday of the month car shows pretty much fill the entire South end lot. Porsche Club of America San Diego Region is almost always the featured marquee for the end of the month shows. 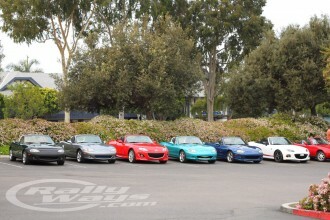 However, alongside Porsches there has been representation from the Viper Club, San Diego Car Enthusiasts (SDCE) and a good part of the San Diego Miata Club. San Diego Miata Club Representation. 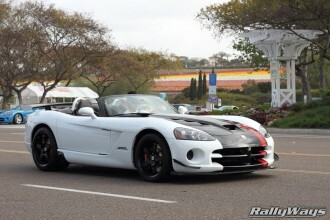 Super rare Viper ACR Roadster. 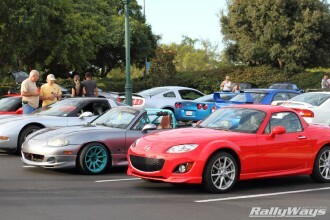 Just as importantly, the local Cbad Cars regulars help make the show the awesome good time it is. And it’s not just RallyWays taking photos either. Apart from the car owners themselves flailing cameras, local guys like Grubbs Photography, Nicholas A Photography, Tim Scribbles and CFlo Photography are often present. It’s always great to see the show through each of the photographer’s own perspectives. The best part of Cbad Cars is the variety of great cars and the great people that attend this meet. The very best way to enjoy a great car show is with your friends. Maybe that’s why it’s RallyWays’ favorite car meet. For more about Cbad Cars check out our dedicated Cbad Cars event page and “like” the Facebook page for the show. TAG Motorsports’ Audi Shooting Brake creation. @Fingerscrossedformorrow’s 911 Carrera 4S and the KI Studios Cayman S.
Richard’s SEMA Mustang and Jimmy’s Mini Cooper S.
We also created a Cbad Cars photography group on Flickr for car pics exclusively from Cbad Cars – great group to check out to see lots more photos from the event.